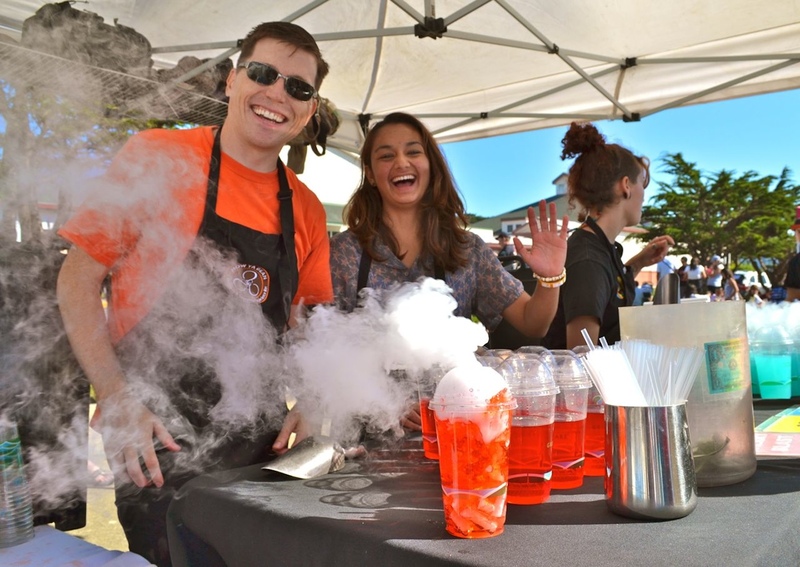 Now in its 28th year, The Pacific Coast Fog Fest was created to promote the City of Pacifica and to celebrate its marvelous coastal climate and community. This 2-day event brings in over 150 arts and crafts booths, a parade, a Fog Jog, a photo contest, a family fun fest, a marching band competition, 3 stages of live music and plenty of food and drink to satisfy any taste. Fog Fest is always held the last weekend of September, along 8 blocks of Palmetto Ave, one block away from the ocean where the sun, sand and surf await. 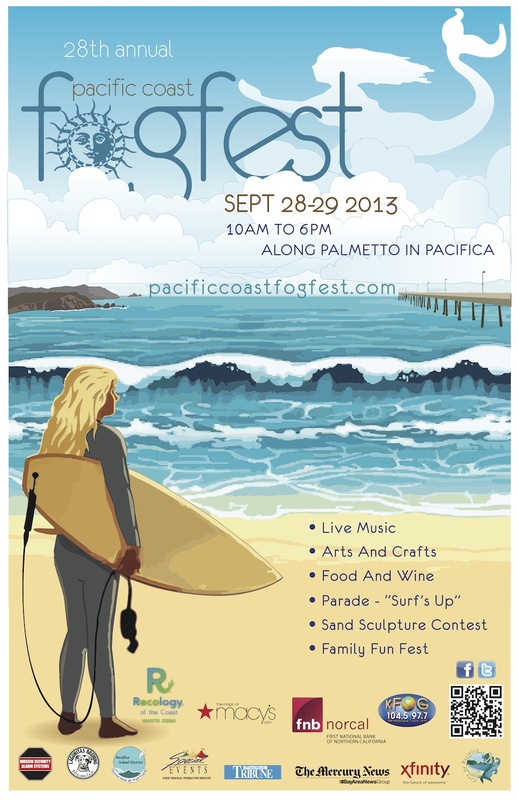 This year it will be held on Saturday and Sunday, September 28th and 29th, from 10:00 a.m. to 6:00 p.m. both days. There will be five celebrity grand marshals for the Saturday morning parade,“Surf’s Up!” The parade will feature surf professionals of the magnificent waves of Mavericks and the movie “Chasing Mavericks.” Floats, marching bands, Nestle’s Nesquik Bunny are just a few things to also expect. This year Macy’s is our proud sponsor of the parade. Who better to have but the parade experts themselves? Other highlights will include, a sand castle contest where spectators can watch as the sculptures come alive and even vote on their favorite; live painting of surfboards at our new Artist Café which will be raffled off; and don’t forget to try the signature drink, the Fog Cutter, always a crowd pleaser. The Fog Fest is proud to give back to the community organizations that participate and also to the, "Gift to Pacifica Fund." Fog Fest strives to lessen its environmental footprint by moving toward zero waste. In addition, free secured bicycle parking is available. Locals are encouraged to ride a bike in with family and friends and, the staff will take care of the rest! What's not to like? Visit their website or follow the Fog Fest on Facebook for details. City of Pacifica, Along Palmetto Ave.